I would like to thank you wholeheartedly for the valuable contribution that you made to our Election campaign. The professionalism and discipline that you brought to the video work ensured that our party’s television campaign stood out for its sleek look and innovative content. Rustler Yachts have had the pleasure of working with Shark Bay on a number of occasions, and they are brilliant! Relaxed, informed and technically excellent, we would recommend them heartily. We could not be happier with the results so far, and look forward to working with them in the future….. When I was CEO of the Seychelles Tourism Marketing Authority they produced the country’s first multi language DVD of short films promoting Seychelles tourism. The campaign was a massive success thanks to the professionalism and creativity they showed, and their enthusiasm for the project. My company Zil Air is Seychelles leading helicopter company. 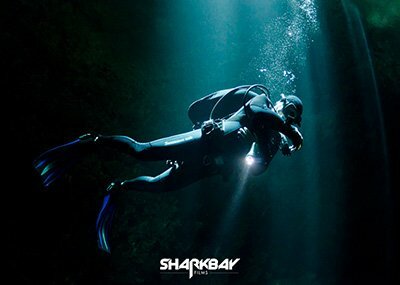 We continue to use Shark Bay Films for all our promotional filming. They are great people to work with. Shark Bay Films have a reputation for making films that show an extremely high level of technical ability and great creativity. John and his team have won numerous awards and are well respected throughout the Dive industry where they are widely regarded as leaders in their field. They have always been extremely professional and a pleasure to work with. A short note to say how impressed we have been with your company’s work. Your creativity was especially valuable in producing the two short films as was your readiness to listen to our own ideas. John and his team have repeatedly delivered on all counts of creativity and professionalism to provide compelling, broadcast quality content for our client Haven Knox-Johnston – always on time and on budget. Their great boating series are key to really cost effective, year-round engagement with HKJ’s boating audience. Highly recommended. Engine House Media have worked with Shark Bay on a number of location filming projects. We would like to thank John and his team who have consistently proved to be extremely well organised and great fun to work with. The quality of the finished product reflects a high level of creativity and flair. A huge thank you to all at Shark Bay. Shark Bay films never fail to deliver top quality results, on time, on budget and on brief. The short films and magazine articles they have created for our magazine and website always receive excellent viewing figures and reader feedback. I’d highly recommend them. We have had the pleasure of working with John and his team over the past 18 months whilst promoting our inaugural Falmouth International Marathon Powerboat Race. Through that time John has been very helpful and flexible in his approach towards our event producing a valuable promo video for us helping with promotions for the race. John and his team filmed the whole process on land and water achieving some wonderful images which will greatly assist with our promotional work for the 2018 race. We could not recommend Shark Bay Films highly enough for their detailed work ethic and professional approach at all times, we very much look forward to working together through 2018 and beyond.